It is worth paying attention to local history in DC. Events last weekend led me to a strange and wonderful chapter in my home country of Turkey’s relations with the United States. It started at the Turkish Festival last weekend. Volunteers wearing red and white-colored T-shirts were directing eager guests to tents laden with shish kabob and Turkish handicrafts. What I noticed, however, was that an unusual number of volunteers were black. Oddly, very few American visitors to Turkey are African-American. I was pleased to see the interest from DC’s African-American community, but I didn’t at first attribute any meaning to it. As the Turkish Youth Jazz Assembly was getting ready for their concert, the presenter invited a board member of the American Turkish Association of Washington DC (ATA-DC) who was also African-American. After her short but enthusiastic speech about Turkey, she invited more people from the community to volunteer for the festival. The presenter then shared a story from the 1930s that answered all my questions. The story starts with Mehmet Münir Ertegün, the second ambassador to the US from Turkey’s Republican era, from 1934 to 1944. At that time, Mr. Ertegün and his two sons, Ahmet and Nesuhi, were intrigued by the emerging jazz scene in the US, which was dominated, if not exclusively composed of, African-Americans at the time. Soon, the brothers’ visits attracted the authorities. The laws and customs of the time infamously held African-Americans as second-class citizens, preventing them from mingling with whites. The Ertegün brothers could go around these laws due to their diplomatic status, but a crisis, it seemed, was only a matter of time. So they decided to convert the second floor of the Turkish ambassador’s residence on Massachusetts Avenue into a jazz club, taking the fight to their home court. As the concerts gained popularity, some Southern senators complained to Ambassador Ertegün that it was not acceptable to allow blacks to enter a diplomatic residence through its front gates. Ertegün answered in one sentence: “In my home, friends enter by the front door; however we can arrange for you to enter from the back.” The concerts continued. Duke Ellington, Count Basie, Lester Young, Benny Carter, Harry Carney, Johnny Hodges and Rex Stewart were some of the well-known musicians that performed there. In 1947, three years after their father’s death, the Ertegün brothers founded Atlantic Records in the US, which became a milestone in the jazz world. Many jazz musicians like Ray Charles, Ben E. King and Ornette Coleman became world stars here. The brothers continued the family business in a way; they were now ambassadors of the African-American music scene and their aim was to integrate it with mainstream American pop culture. 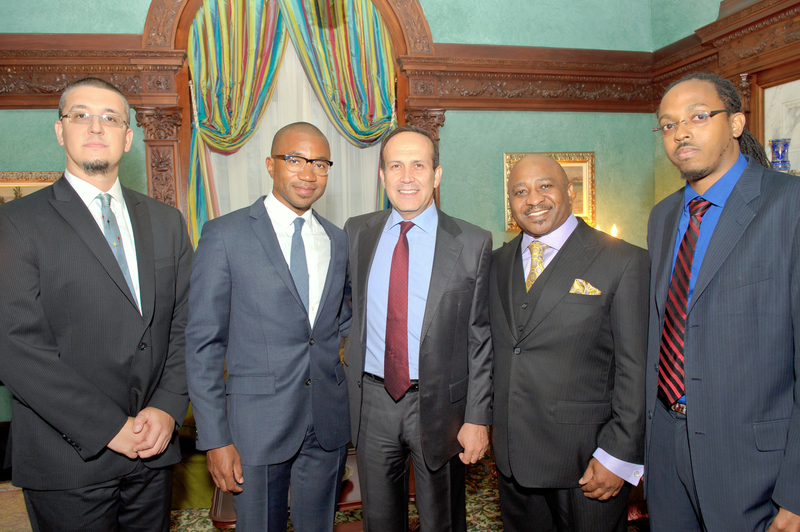 During Black History Month 2011, the Turkish Embassy revived a tradition with the Ertegün Jazz Series. Jazz concerts now take place at the residence every few months and feature groups from across the US as well as Turkey. The events are a meeting ground for jazz lovers from both countries, civil rights leaders and the occasional Turkey-watching policy wonk. It isn’t surprising that jazz tunes have been common in Turkey’s bars and cafés. Istanbul’s clubs and cafés are bustling with Turkish and foreign jazz musicians alike, and the diplomatic corps also continues its role as facilitator. The current Turkish Ambassador Namık Tan, for example, supported the International Jazz Day in Istanbul this spring. Many point out that jazz is very close to traditional Turkish music in its rhythm and its culture of improvisation. It was certainly part of my musical diet growing up in Istanbul. But it took the journey to Washington, DC for jazz to become a source of pride for me — and an enduring reminder of the brotherhood between nations.